Based in County Roscommon, Reiki therapist Marian Trench has been expertly trained in all aspects of this healing therapy. She also holds a diploma in Anatomy and Physiology. Marian has the ability treat a wide variety of serious physical and psychological conditions. Marian holds Reiki clinics in Ballindine, County Roscommon and Tuam, County Galway. She is passionate about people and their journey of discovery to healing & wholeness within themselves and thus their own lives. In addition to the conditions outlined above Reiki can be used to therapeutically deal with many another conditions. Contact Marian now to discuss any particular difficulties that you may be experiencing. I have suffered with anxiety for the past couple of months and, after trying many different approaches without much success, a friend suggested that I try Marian. After my first session I was amazed at the improvement I felt. It was the only thing that was successful in alleviating my problems and I only wish I had found Marian sooner. I now feel that I'm on the road to recovery and have felt more positive and content in myself than I have in a long time. I would like to thank Marian for being such a kind and generous person and for making me feel so welcome and relaxed. I would recommend her to anybody. 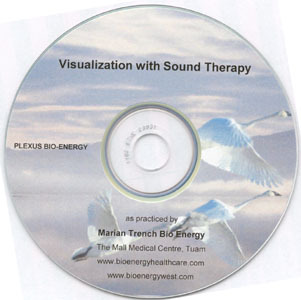 Marion also provides Bio Energy healing therapy which is another tried and proven means of treating a wide range of conditions and ailments. To find out more please see Bio Energy in Roscommon.